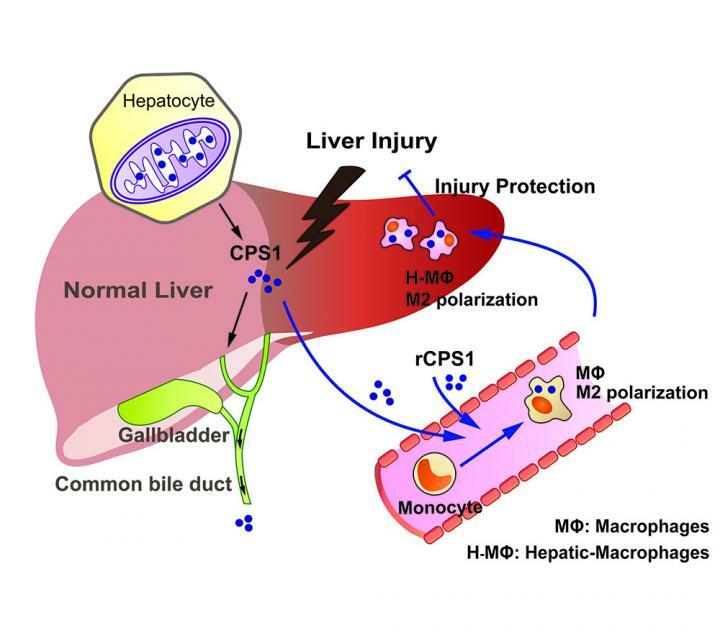 Enzyme’s newly discovered ability to spur the body to prevent, or repair, acute liver injury could be harnessed as a therapy, or used as a biomarker. The research team included Yongjia Feng and Graham Brady of Omary’s lab; Louis D’Alecy, Jun Wu and Dong-il Kim of U-M’s Physiology department; gastroenterologist Michelle Anderson and liver failure specialist Robert Fontana; Alexey Nesvizhskii, Nicholas Lukacs and Venkatesha Basrur of the U-M Department of Pathology; and Joerg Lahann of U-M Biomedical Engineering and Biointerfaces Institute. The research used the U-M Flow Cytometry, Microscopy, Proteomics, and Vector research cores.